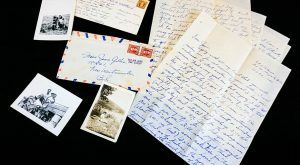 Daniel Marshall wins the 2019 Basil Stuart-Stubbs Prize for his illuminating narrative of the 1858 Fraser River Valley gold rush. 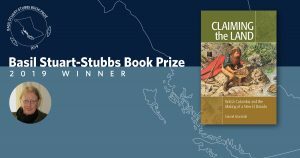 Dr. Daniel Marshall wins the 2019 Basil Stuart-Stubbs Prize for his book Claiming the land: British Columbia and the making of a new El Dorado. 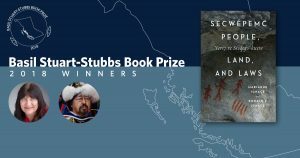 Marianne Ignace and Ronald E. Ignace win the 2018 Basil Stuart-Stubbs Prize for their exploration of Secwépemc history told through Indigenous knowledge and oral traditions. 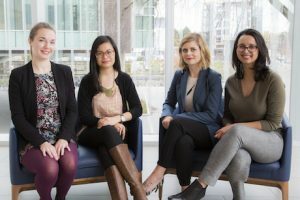 The SFU professors win the 2018 Basil Stuart-Stubbs Prize for their book A Secwépemc People, Land, and Laws: Yerí7 re Stsq’ey’s-kucw. 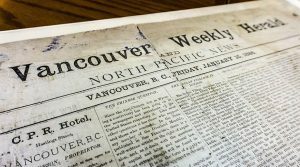 The first edition of the Vancouver Weekly Herald and North Pacific News was printed January 15, 1886. 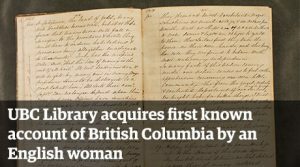 The journal kept by Susannah Weynton documents four months spent on Vancouver Island at Fort Victoria and Fort Rupert and on the mainland at Fort Langley between March and July 1850. 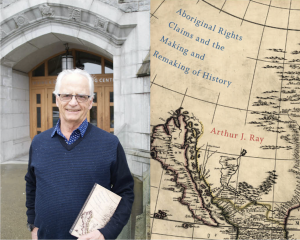 UBC Professor Emeritus Arthur J. Ray wins the 2017 Basil Stuart-Stubbs Prize for Aboriginal Rights Claims and the Making and Remaking of History.